Are you a business owner with a home office? Your office is your motivational and inspirational space. 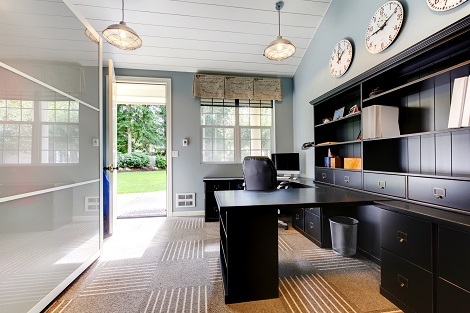 Why not create a space that will create an environment that reflects your personality, provides organizational efficiency and a place that says “success” to your clients with a home office renovation. Environment contributes to inspiration. Inspiration contributes to success. Would you find it easy to work in this office? 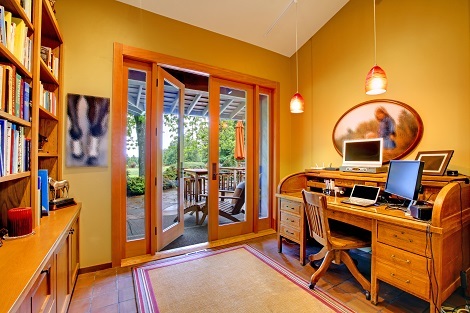 Do you need a home office renovation? Imagine sitting in your office trying to come up with some creative ideas for writing your next blog, developing your next strategy, or welcoming your clients to meet. Do you draw inspiration from the mixture of aromas from your herb garden that just happens to sit adjacent to your office with an open concept plan? Would you like to? Or you can add french doors for a beautiful entrance to the patio where you can entertain your clients, discuss that next big deal, strategize with your team or bounce ideas off of your business partner to inspire your next move. The environment you work in can be the difference between a functional and enjoyable day, versus a disorganized stressful one. Laslo can help with designing a functional and beautiful office space.